We have revamped our Classifieds system. Now anyone can post their peafowl for sale here at the bottom without registering an account. It is free to post your peafowl for sale here. You must post a valid email address as well as your city and state so potential buyers may reach out to you. It is free for anyone to post their ad to either buy or sell peafowl. We do not help match buyers to sellers. It is up to you to post all relevant information so someone can contact you directly! Post your own classified ad below. Please leave all contact information and as much details as possible. Hit the “Click here to Post” button below to place your classified ad. Looking for 3 peachicks. Not picky on color. Looking for two peahen chicks if there is any available please let me know! Looking to add to our feathered family. I would like to purchase a pied peacock and white peahen or the other way around. 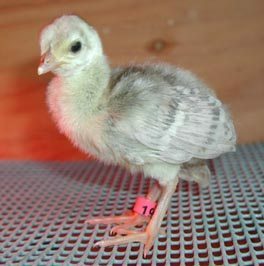 I already have a pair of black shoulder male and Indian blue hen. If anyone knows where, I would be greatful. These two are expecting parents. So fingers cross. Hopefully their eggs hatch. I am looking for a breeder who is selling pair of peacocks and a pair of pheasants(If you have any) and can organize for shipment to Nairobi, Kenya, Africa. I would really appreciate your feedback. One of my hens has been killed. I need a companion for my remaining birds. I would like a India Blue peahen. Please email me If you have one for sale. Thank you. I am not selling any Peafowl. But instead I was interested in a female for the male we have at the farm. we did have a female but she was stolen by our neighbors. we never got her back, so I am finally ready to buy a new partner for my lonely male peacock. If anyone knows or is selling a female peacock in the Maryland/Eastern Shore area. Hello, we lost one of our two peahens to sudden death, and are searching for a new companion for the remaining bird. We have two peacocks, but she misses her best friend. Charcoal preferred but we will consider anything. Please. We need to find something soon. Thank you. I am seeking a breeder of irredescent peafowl babies to be shipped to me in Ojai California... only want 3. I am looking to add some peahens to my pair I already have. Would like some white peafowl as well. When I decide to sell my blue flock, I would like to post here again. thanks again for the wonderful service that you provided. Looking for pied or silver pied 3+ year old male. Will travel reasonable distance. I am looking for purple, pink and red pairs. I am not a breeder or into selling we have a could pairs of regular ones but the one female is kinda white and tan. The neighbors and passers-by have expressed how net it would be to see the reds I thought they were crazy but just saw on your site there is such a thing. I also seen the purples and pink which I love and since the feed Bill is mine I would love a pink or purple in memory of my mother she loved them and the color purple but any of the three would be ok can be younger or chick's. Thanks please call 443-277-7952 thanks for the consideration. Peafowl for sale - located in McNabb, IL. The photos attached are of 2 of the males that are for sale. I also have 2017 hatches for sale - colors include Peach, India Blue, Cameo, Opal Pied White Eyed and India Blue split to white. Peafowl Fancier is a small farm breeding India Blue, White, Pied and Spalding. We do not ship at this time. PEAFOWL: Conventional Blues and some of the most Brilliant, Iridescent, Golden Green on Black Shoulder Blues that exist. Date back to C. Leto’s Indonesia stock. Beautiful outstanding birds. P. O. Box 244 Riverview, FL 33568-0244. Find the latest SlotoCash bonus codes here!